The Complete Streets Coordinator is responsible for managing the development, adoption, implementation, and evaluation of best practice “Complete Streets” policies in select municipalities within Georgia. This full-time position will operate from a home office and requires access to a reliable internet connection. Moderate to frequent travel required. Must currently live in Georgia or be willing to move to Georgia in a timely manner. - Serve as an expert on bicycle and pedestrian safety topics. - Cultivate and maintain productive relationships with policy makers. professional workshops, seminars and independent study. - The Complete Streets Coordinator reports to the Executive Director. geographic scope of the position. 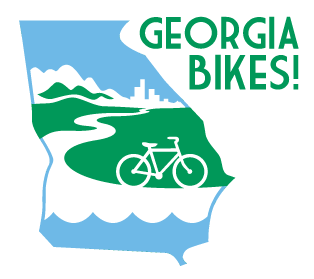 the Coordinator’s submission of a Georgia Bikes Travel Form, documentation, and receipts. - Office supply and other operation expenses must be approved by the Executive Director. events, and examples of PR and educational materials. - Timely entry of contact information and relevant activities and notes into Georgia Bikes CRM. - Current Georgia resident or ability to move to Georgia in a timely manner. 5 pm EST, Monday July 10 2017.